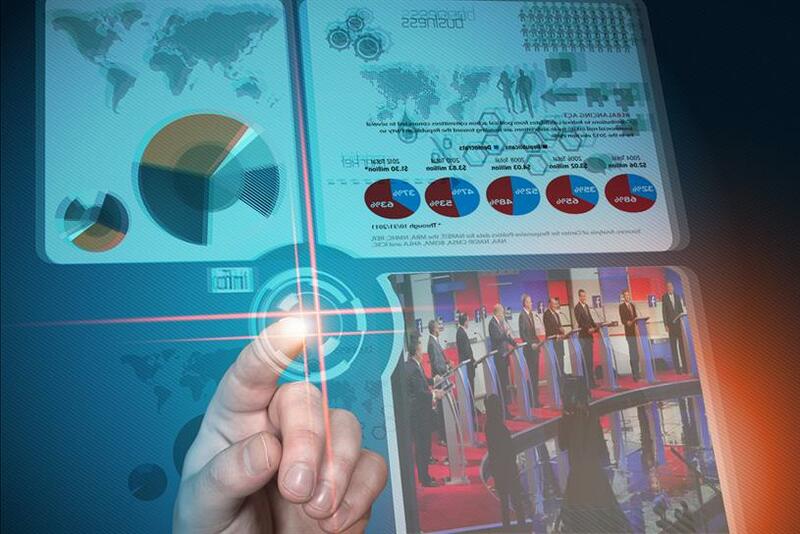 Spending on digital political advertising increases every election cycle. With online political ad spending expected to reach nearly $1 billion this season, it’s no surprise to see the world’s largest programmatic media firm is getting in the political ad space. This week, Xaxis is introducing Xaxis Politics, a programmatic political ad service that touts more sophisticated targeting by using offline voter data rather than digital information gleaned from web browsing habits and social media profiles. But Xaxis, of course, has competition for those ad dollars. Last week, Facebook unveiled Facebook for Politics, which lets campaigns buy ads targeted to users identified by ideology and issue affinity. The service can also target a predefined list of supporters or people similar to them. The fact that both these services are rolling out almost exactly a year before the 2016 presidential election is no coincidence. "A product that allows you to purchase media on multiple, premium channels all at once can make the lives of digital political advertisers easier than if they were to place all media through direct buys," said Alix Carlin, director of advertising at Harris Media, a communications & digital marketing firm that has worked with politicians like Rand Paul and Mitch McConnell. Earlier this year, market research firm Borrell Associates estimated that online political ad spending would reach nearly $1 billion this cycle, four times the amount spent in 2012. Superior digital outreach has often been credited for President Obama’s victories in 2008 and 2012. While Mitt Romney’s 2012 campaign spent tens of millions of dollars on online ads, they were largely considered poorly targeted and mostly ineffective. Neither party can afford to make mistakes, and both know it. Xaxis is hoping its partnership with predictive analytics firm HaystaqDNA will provide the greater accuracy campaigns require. Haystaq was founded by alums of Obama’s wildly successful 2008 digital efforts, and they say they’ve created a voter database that can be combined with programmatic ad buys to direct messages to even more specific audiences. If the company can deliver on the promise, it could counter one of the main drawbacks of programmatic ads — poor targeting on mobile devices. Typical programmatic ads base automated buying decisions on tracking web surfing and cookies, data that doesn’t carry over to a different device. A supporter identified through a desktop computer is likely lost when they switch to a mobile app. A more thorough database could enable an ad buy to more effectively follow supporters. Social media-based ads don’t suffer the same drawbacks. Users sign in on every device, so Facebook, for example, can serve ads to them wherever they are. Of course, since Citizens United, large campaigns have been funded by unrestricted campaign contributions, so they can continue to buy ads anywhere they think it might help — buying ads through Xaxis won’t preclude a Facebook buy. But local campaigns need to choose where to spend their ad dollars carefully. "Stringent budgets and lack of bandwidth can make it difficult to effectively place political ads solely through direct buys, which can lead to the advertiser not reaching potential voters," Carlin said. Facebook is effectively ubiquitous among online American voters, which makes it the gold standard, so any service offering mobile ads needs to demonstrate that it can compete, which may be too high a bar. "Facebook ads are pretty cost-effective," said Nadeem Mazen, an entrepreneur who was elected to a second term last week as city councilor in Cambridge, Massachusetts. He’s skeptical that small campaigns need any additional targeting capabilities. "It's difficult to tell if a service like this would actually convert people who aren't already interested in municipal politics to vote municipally. "If we can get another 10,000 people who are registered to actually come out and vote, yeah, great. But I suspect what happens is that it's just like a mailer. You send out a mailer to an extra 10,000 people — who shows up? Like six people," he added. Local politics is still very much about analog connections, according to Mazen. "There are many ways to target those players, and I would be surprised if digital was king right now."